peyak, 2014, caribou hair and glass beads on buckskin. 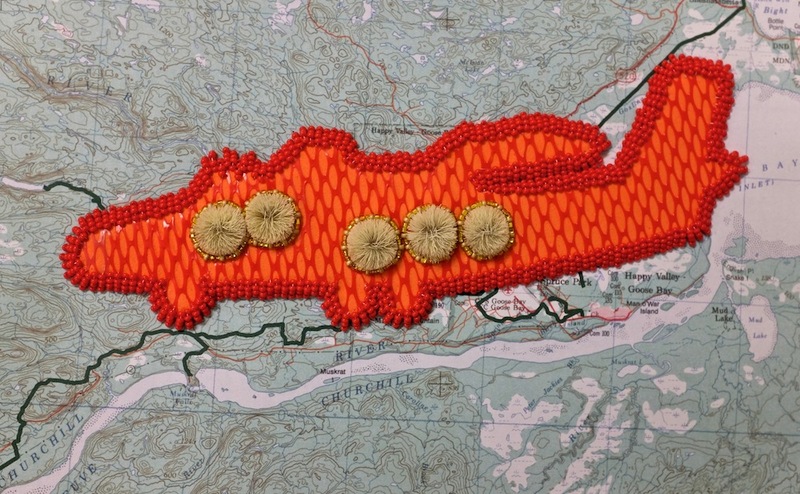 Mealy Mountains, 2013, caribou hair and glass beads on map, 11" x 9 3/4". 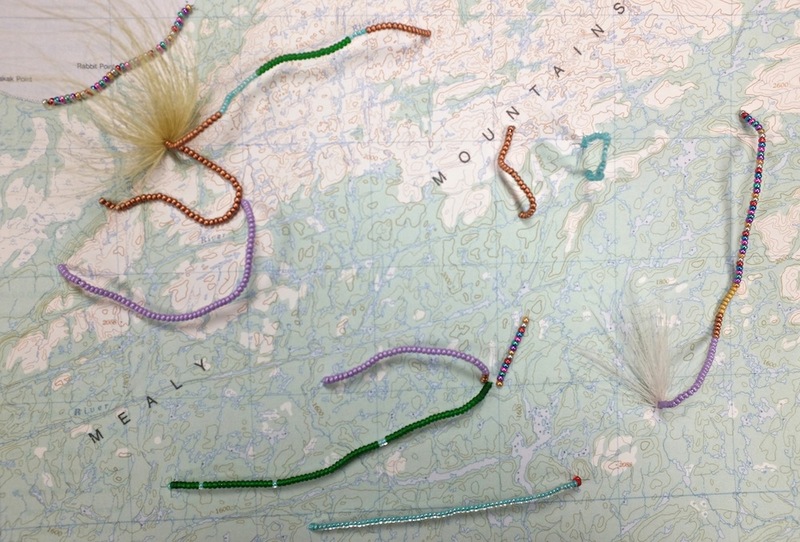 Three Artists Fly North, 2013, caribou hair and glass beads on map, 11" x 9 3/4".